Description: In 2005, Atelier Sawano introduced to the Japanese audience a jazz star from an unlikely country: Estonia. Tonu Naissoo dazzled us with his soulful playing, modern sensibilities and prestine sound. His previous releases from Sawano -- With A Song In My Heart, You Stepped Out Of A Dream and Estonian Wind -- became huge hits. The second CD was even selected as the "Best Engineered Jazz CD of 2006" by the Jazz Critique Magazine. This brand-new solo recording -- from May and June 2009 -- will only solidify his standing as one of the premier jazz pianists of today. In an intimate program of standards, a Beatle tune ("You Never Give Me Your Money"), a song by Joni Mitchell ("All I Want") and a couple of attractive originals ("Little Vanessa's Day" and "...and so she left...", the listener is swept away with his beautiful touch and swinging lyricism. 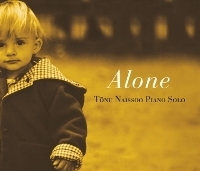 Appropriately and lovingly, the program ends with "We Will Meet Again," an achingly beautiful song by Bill Evans, Naissoo's primary influence and inspiration. As with Naissoo's previous releases, the sound quality of this CD is just superb. If you liked his previous albums, you'll definitely love this one. Heartily recommended to the fans of high-quality piano jazz! Produced by Tonu Naisso. Recorded May 28 and June 4, 2009.